Only the Staves can make an electric set sound fragile and acoustic. 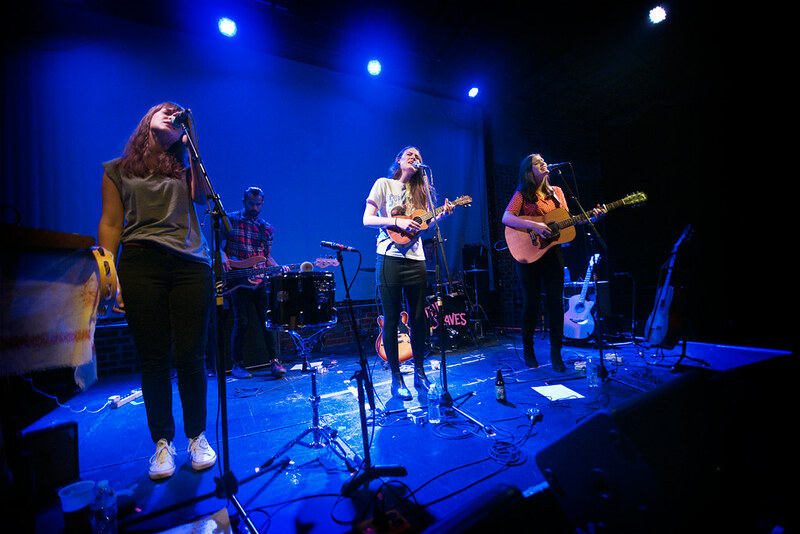 Sisters from across the pond, the Staves use of vocal harmonizing showcases their talents of marrying the intimate while injecting a modern rock feel to their music. Here's their latest video for "Teeth White" which shows them performing inside a bar while patrons sit aloof to their presence. the song reflects the difficulties of trying to achieve something but no matter how hard you try, it's still not good enough. Check it out below.